Sold by Newmowa-UK and Fulfilled by Amazon. Gift-wrap available. 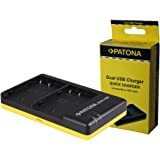 This item at this price, sold by Amazon.com, is currently reserved exclusively for Prime members. 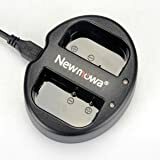 Efficient: Newmowa DMW-BLF19 quick charger work for Panasonic DMW-BLF19 battery. 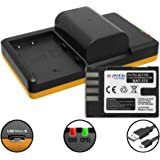 It is completely compatible with these batteries. Input: 5V 2A; Output: 8.4V 600mA*2. Forever charge your battery, not only at home but in car. With common micro-USB input, you can recharge your battery wherever and whenever. 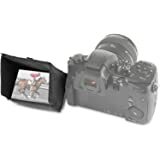 You will always have a working camera to capture all the important and happy moments on your trips, never worried about running out of power. Perfect for Travel. Economical: Included 1 dual USB charger, 1 Micro cable. Batteries are not included. Sold by Newmowa-UK and sent from Amazon Fulfillment. 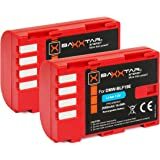 2x BAXXTAR Pro Rechargeable Battery for Panasonic DMW BLF19 E with Info Chip for Panasonic Lumix DC G9 GH5 GH5S DMC GH3 GH4 GH4R Sigma BP 61, etc. 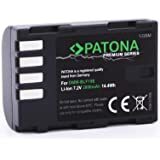 Bundlestar Patona Premium Rechargeable Battery for Panasonic DMW BLF19 E (Authentic 2000 mAh with Info Chip Intelligent Battery System – For Panasonic Lumix DC GH5 DMC GH3 GH4 GH4R/Sigma BP 61, etc. 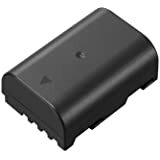 Such a handy usb charger for your Panasonic Dmc Gh5 batteries. Charging batteries takes a bit long, but it's using USB power which is normal, except if you put it on a USB charger. 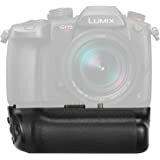 Works great to charge my gunuine and non-guniune Panasonic GH4 batteries, and I can use a USB battery bank to power it, perfect of on the road. 5.0 out of 5 starsUseful. 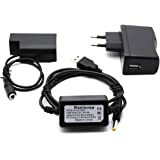 Great charger,is have 4 batteries for my gh3 and gh3 and now I can charge 2 at a time any where. does the job, slowly but effectively !